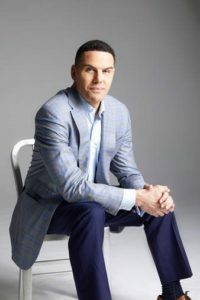 Author Steve Pemberton (pictured) will chronicle his inspiring triumph over an abusive childhood in foster care during Dallas CASA’s annual Cherish the Children luncheon April 5 at The Omni Dallas. Hosted by Dallas CASA Children’s Council, the luncheon will raise critical funds for the abused and neglected children served by Dallas CASA’s trained community volunteers. Pemberton’s bestselling memoir, “A Chance in the World,” tells his very personal story of perseverance through difficulty, his search for identity as a biracial child and his quest to find meaning by sharing his story. Following executive stints at Walgreen’s and Monster.com, Pemberton is now the Chief Human Resources Officer at WorkHuman, and a husband and father. “What makes a family is neither the absence of tragedy nor the ability to hide from misfortune, but the courage to overcome it and, from that broken past, write a new beginning,” Pemberton says. Pemberton’s memoir was made into a feature film in 2017, bringing his harrowing childhood and ultimate resilience to life. Removed from an alcoholic mother and absent father and placed in foster care at three years old, Pemberton spent the next 13 years being mentally and physically tortured in his foster home. He sought refuge in school and books, where he found inspiration and motivation for a better life. For Pemberton, the impact of caring adults was life altering. A neighbor brought him a box of books after she noticed him reading the same book over and over, and he later lived with one of his teachers after leaving his abusive foster home. Knowing that people cared gave him the strength to keep pushing ahead to make a better life for himself. 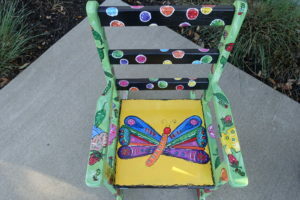 Dallas CASA will present the Caroline Rose Hunt Cherish the Children Award to Rosewood. The award recognizes an individual or organization for outstanding contributions helping children who have been removed from home for abuse or severe neglect. In recognition of its commitment to the children of our community, Dallas CASA Children’s Council will honor Rosewood with the award. Inspired by the award’s namesake Mrs. Hunt and her constant dedication to the most vulnerable in our city, Rosewood Corporation and the Rosewood Foundation have been supporters of Dallas CASA for many years, making an impact on the lives of Dallas children through consistent and generous support. On an average day in Dallas, more than five children are removed from their homes due to abuse or neglect. Dallas CASA volunteers are community members who are trained and supervised to advocate for these children as they navigate a complex child welfare system. A Dallas CASA volunteer is often the only consistent, caring adult by a child’s side during a frightening and confusing time. Gina Porter and Nicki Stafford are the co-chairs for the luncheon, which will include a silent auction of unique and original children’s furniture, created by local artists and designers. All proceeds raised by the auction benefit Dallas CASA. To learn more about the luncheon and CASA, call 214-827-8961 or visit dallascasa.org.